The internet sensation Priya Prakash Varrier is back in the news! After winning a million hearts with her ‘wink’, the young Mallu Girl has again gone viral but this time because of leaked scene. 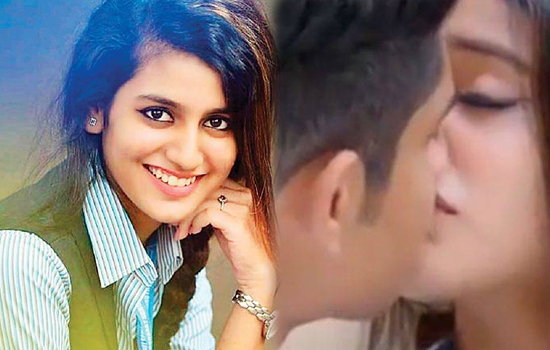 A video has found its way to the internet where Priya Prakash Varrier and co-star Roshan Abdul Rauf can be seen lip-locking. It seems this kissing scene is the part of upcoming movie ‘Oru Adaar Love‘ in which they are playing the lead roles. A YouTube user uploaded this video on the video-sharing site. It seems that the clip is taken from the song ‘Manikya Malaraya Poovi’ where she got the big thumbs up from movie lovers and viewers for her expressions and her ‘winking’ act won many hearts. Priya Prakash Varrier’s extraordinary winking skills made her an internet sensation overnight. ‘Oru Adaar Love’ is an upcoming romantic movie, which will involve high school romance, directed by Omar Lulu. The movie starring Priya Prakash Varrier, Siyadh Shajahan, Roshan Abdul Rahoof, and Noorin Shereef . 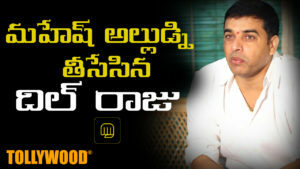 ‘Oru Adaar Love’ is being dubbed in Telugu as ‘Lovers Day’. Recently the makers organized the audio launch event of Lovers day in Hyderabad and Stylish Star Allu Arjun attended the event as Chief Guest. 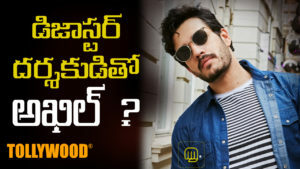 Apart from ‘Oru Adaar Love’ , Priya Prakash Varrier is also the part of an upcoming movie Sridevi Bunglow. The upcoming film mark her Bollywood debut, which is being directed by Prasanth Mambully. The teaser of the film is already out. Few days ago, Bony Kapoor, the husband of late actress Sridevi has issued a legal notice against the makers of the film regarding the same matter. But Prasanth Mambully denied such allegations saying the Sridevi is a common name.